Baby Powder is rated 3.6 out of 5 by 74. 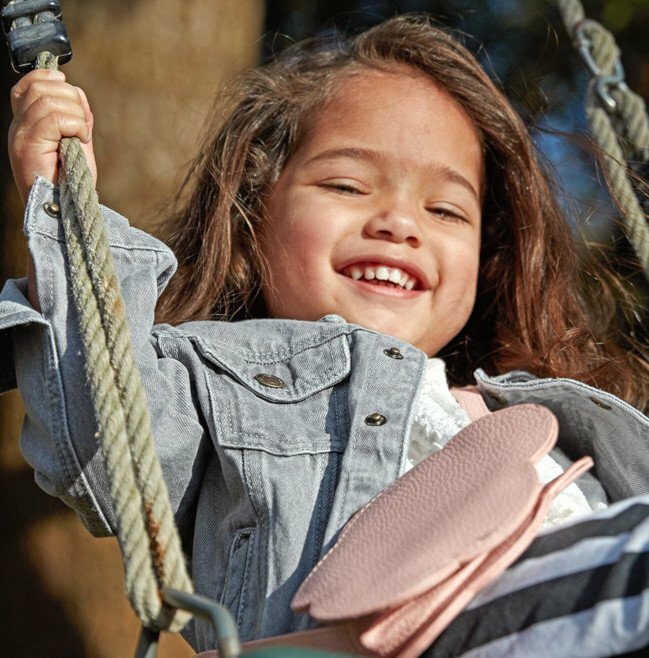 Our baby powder keeps skin comfortable, dry & feeling soft. With a clean, classic scent, this baby powder formula glides over your baby’s skin and leaves it feeling delicately soft and dry while providing soothing comfort. Shake baby powder directly into your hand, away from the face, before smoothing onto skin. 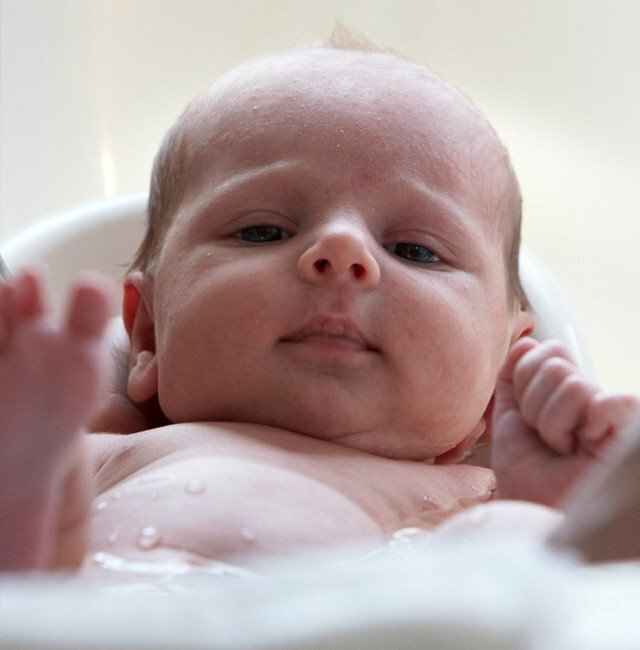 Perfect for use after a warm bath and diaper change to help skin feel soft, fresh and comfortable. Close container tightly after each use, and store in a cool, dry place. Rated 5 out of 5 by Joey from Simple but elegant It has always been the familiar fragrance pleasing all my senses at once that reveals itself to my memory. This being the result of past personal experiences over many years and on several continents and in many climes and conditions. The reassuring knowledge that a soothing comfort was soon to be mine reassures one. The memories are multiple and not one is atop any hierarchy of the senses, as stored in my personal memory. Johnson & Johnson Baby Powder was the first addition to my belongings, as I traveled and lived in many places in both pleasant and trying circumstances. It soothed cracked and rough skin, while I served many decades ago, as an Infantry troop in Viet Nam. It was the first thing I packed in my pack on long hikes on the Appalachian Trail. It soothed tender skin as I dressed for the rigors of daily life on an Island some 38 miles from Siberia in the North Bering Sea, and also while living, working and traveling around the surrounding regions of the Norton Sound area of Northwest Alaska. Each day after showering and readying for my work a day world back in the USA Johnson & Johnson Baby Powder is at arm’s length each morning. Initially, I thought that I might being making an overstatement in applying a line most associated with science; but Johnson & Johnson Baby Powder is “simple but elegant”. Yet, a long experience and uninterrupted satisfaction does make the simple phrase most appropriate. Johnson & Johnson Baby Powder is “simple but elegant”. Rated 5 out of 5 by Leilani66 from Fresh , Clean and Sweet I have been using this product for over 37 years. After a shower or even just to feel comfortable. I Love It! Rated 1 out of 5 by ServerChick from Caused a rash As a bigger woman who works a lot and also exercises frequently, I use baby powder daily. Previously, I’d been using Baby2Baby from Safeway, and for a few years it never gave me a problem. Johnson’s was on sale so I figured I’d use that instead. That was two weeks ago. I now have a painful rash and broken skin. Won’t be using this product anymore! Rated 1 out of 5 by Marilyn26 from No great features as manutured in China I have uses J&J Baby Powder for many years. Sadly, since you are now manufacturing it in China, I will no longer be purchasing this product. I will, however, continue to use the Baby Oil as long as you continue to manufacture it in the USA or Canada. 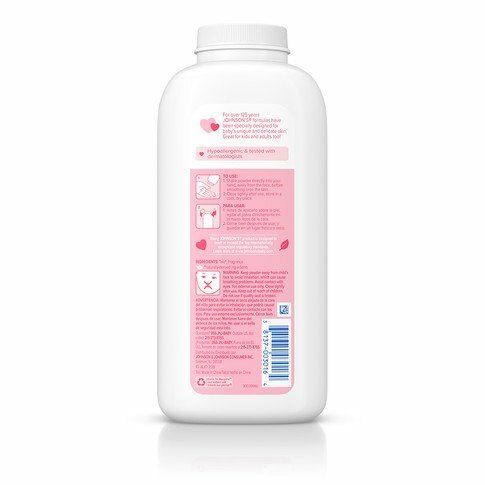 Rated 1 out of 5 by Ann18 from Allergic to new formula baby powder I have been using Johnson & Johnson baby powder for about 3 years after changing from Shower to Shower. Ever since I started using the new pink label powder I have had blister rashes everywhere it is applied. I have tried changing undergarments brands with no effect. Is there something new in the powder that might cause this reaction? Very desperate! Rated 5 out of 5 by Trina725 from What has happened to my baby powder?? Did J&J change something with the baby powder? For years myself and my husband have used this product and it never gave us a problem. Now the packaging has changed, and the powder seems thin, and does not work how it usually would. I would hate to think that my beloved product has changed and will no longer be able to use. Rated 1 out of 5 by Shelley 287 from Now causes rashes on me and baby I've used Johnson's baby powder (JBP) (cornstarch)my entire life --as did my mom-- and I've used it on my kids as well. I'd never had a problem with it UNTIL this past year. I've always been a very big girl/woman so JBP has forever been a mainstay in my hygiene practices. I just had my second child in January 2018 (oldest is 12) and of course I used JBP with her first diaper change, as with each one until she was about a month old. I changed her frequently, cleaned and dried her well, and always used JBP as I did with my oldest. 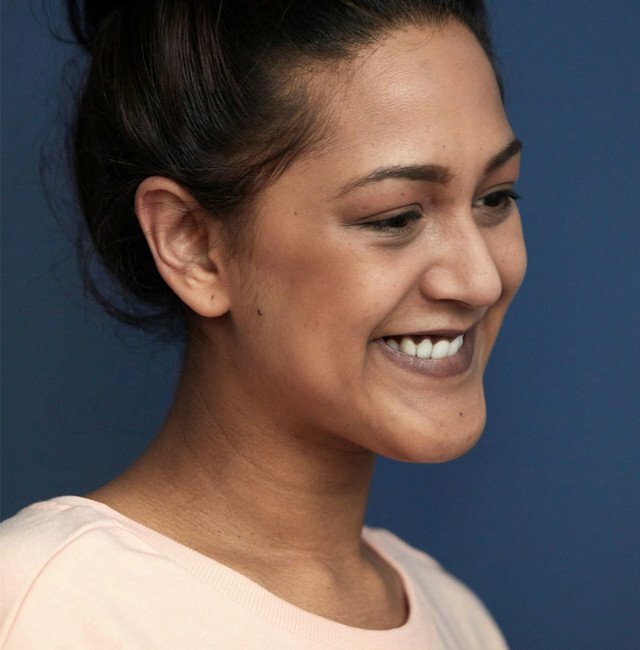 But she began developing an irritation or rash where it looked as though the skin was peeling, from front to back and halfway down her thighs. I tried using different wipes, creams, ointments, soaps, and even diapers, but it would not let up. Never did I imagine it could have been the powder that caused it. At her 1-month checkup we saw a different doctor than usual who said to stop using powder immediately (citing risk to lungs) and prescribed an antibacterial ointment for the rash. I thought both of those things to be weird/overbearing but I stopped using powder with her very next change just for the heck of it and waited on the ointment. As soon as I stopped using the powder (using only A&D ointment instead) the rash began to clear and heal. It got better and better and healed completely after about a month. It took another month for the skin discoloration to change (she has medium complexion and the rash was white/pink). Still, I thought maybe SHE was just sensitive to it and a couple months later I used it (a brand new bottle) on my own genital area for two days until I started getting the same irritation. It itched like crazy and the skin began peeling. I threw it away and I'll never buy it again. There are other brands out there but I've learned to live without powder completely. Rated 4 out of 5 by Saminmd from My favorite Always been my favorite powder, but suddenly very hard to open. Different packaging? Rated 1 out of 5 by Melb from This pink one gave my baby diaper rashes! !- Everytime I changed him I would wash his bottom let him air dry & put the pink powder & bam a rash.. I did it the same with a cvs brand powder & it went away. This pink powder is horrible. Rated 1 out of 5 by Miri1952 from Compared to original, perfume smells tacky cheap. I recently purchased a J&J Baby Powder after I finally depleted a ten year supply I had under the sink. This product, now made in China, has a cheap perfume odor. I cannot and will not use it. I have used the original product, made in USA, for more than 60 years. I am just sick I did not have more under the sink because now I have to find something else..., and cornstarch is not the answer. Rated 5 out of 5 by lcal60 from Love it I am 60 years old and have used this my whole life. I do not believe this power causes any kind of cancer....or every child in America would have been sick! I just wish they would stop changing the formulas and scents. I love the original scent and packaging. Rated 5 out of 5 by get a job from The best I use this for chafing prevention I hope it's always around with talc because cornstarch can yeast even if I must order online and sign a waiver keep talc in cornstarch out. Rated 5 out of 5 by Beth59 from Love it I've been using it for almost 60 years. I will continue to use it. I am miserable without it. Rated 5 out of 5 by David from Johnson baby powder is not liable. I bought this fifty seven years ago and I'm do very happy I did. Rated 5 out of 5 by MelindaB from I defend Johnson & Johnson baby powder I have been using J & J baby powder for more than 20 years for myself and used it on my two children when they were babies. It saddens me that people today that illnesses or circumstances are blamed on someone else. We have become a "victim" nation. If the powder causes ovarian cancer, then I guess the majority of the millions of baby girls that it has been used on over the past 100 years have ovarian cancer. So, it does not appear likely that these cases are caused by the baby powder. The life-styles and heredity factors should be examined in the women who are claiming that the powder caused their own cancers. Good luck Johnson & Johnson...I believe in you! Rated 5 out of 5 by Mommajean0123 from This product is amazing. I would definitely recommend this product to friends and family. It has a a fresh scent that I absolutely love. Rated 3 out of 5 by Johnson's baby from The scent of the powder has changed! My mom used it on me when I was a baby and I have been using it daily ever since. Recently I notice that the scent of the powder has changed. It makes me sad that My favorite baby powder will never be the same. I also notice that it made in China.I thought it was created in USA. What has happened to the great product. Please go back to the original Johnson Baby Powder. I've been trying to look for the original baby scent but have never found it. Rated 5 out of 5 by Vero88 from Great After a Shower I use this on myself after I take a shower. I like the way it makes me feel nice, fresh, and clean-smelling. 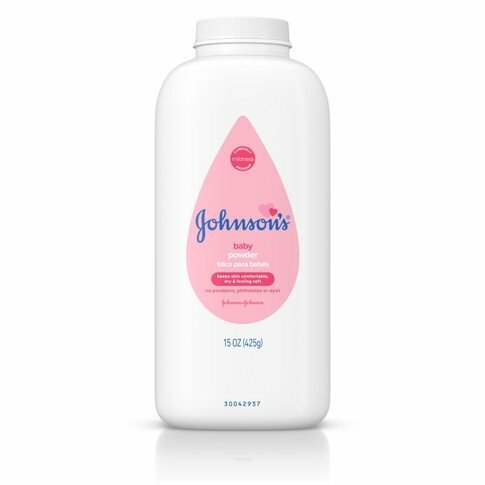 Johnson's Baby Powder is an essential part of my bathing routine and I wouldn't go without it! Rated 4 out of 5 by Powder Craig from TSA issue I use the powder daily but recently I've been taken aside at the airport TSA screening and patted down. My palms have also been tested. There must be sufficient metal content in the powder to show up in the scan. Rated 5 out of 5 by Ann from AGenius Made this Product. Whomever can up with the powder idea had a love for people in their hearts and minds. Rated 5 out of 5 by Partha from Good product I have been using for my kids. It's good but why symbol is changed now? Earlier mother baby symbol was very nice. Rated 5 out of 5 by Buck from Made in It’s good, I would give it 5 stars if all the ingredients were made in the USA. I’d pay a little extra. Rated 5 out of 5 by Plain Jane from A Classic I have used Johnson's baby products for many years. Didn't there used to be a variety of the powder called blossom or something?